Water has long been described as so many things; it has been a symbol of cleansing and purification, a source needed to sustain life, and a home to many forms of plants and animals. However many bodies of water are also home to spirits as well. Many have heard of the Flying Dutchman. In 1680 a ship captained by a man named Hendrick Vanderdecken, set sail from Amsterdam to Batavia. A terrible storm was approaching as they came to the Cape of Good Hope and the crew believed it to be a sign from God. The captain ignored all warnings and continued on. The storm claimed the ship and its passengers. Now, there is the belief that Vanderdecken and his crew are forced to roam the waters near the cape for eternity as punishment. There have been many sightings of The Flying Dutchman; the first recorded sighting was in 1835 by a British ship. The crew saw the phantom ship approaching during a storm, it came so close the crew feared they would collide but the ship disappeared. 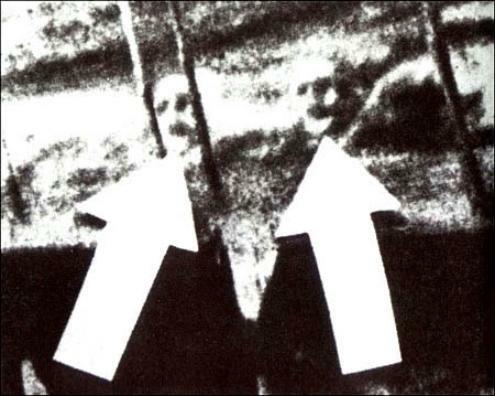 The last recorded sighting was in 1942 by four witnesses off the coast of Cape Town. They reported seeing the ship sail into Table Bay and vanish. So now that we have covered a well known ghost ship, how about the story of a ship that many believed to be cursed? Christened in 1861, the Amazon seemed to be the epitome of “bad luck”. Just 48 hours after taking command of the ship, its captain died suddenly. When she finally had her maiden voyage, the ship struck a fence leaving a large gash in the hull. While this damage was being repaired, a fire broke out on board. Soon the ship was operational again but during only the third time crossing the Atlantic, The Amazon collided with another ship. In 1867 the ship was wrecked and abandoned off the coast of Newfoundland. Someone decided to put faith back into her because it was raised and restored by an American company who sailed south to sell the ship. In 1872 Captain Benjamin Briggs purchased the Amazon and renamed her Mary Celeste. Captain Briggs raised the sails and with his family headed toward the Mediterranean. The story doesn’t end there. In December of 1872 the crew of the Dei Gratia found the Mary Celeste floating, completely unattended, about 600 miles off the coast of Portugal. Nothing appeared to be wrong, the ship was in perfect condition, the sails were set and the cargo had not been touched. The crew’s belongings were still on board and a breakfast sat as if someone had started but never finished it. There was no sign of a storm or a struggle and the last entry to the log was made On November 24th. The entry did not describe any trouble or hardship. If the ship was abandoned shortly after the last entry it would have been drifting for a week and a half but according to the crew of the Dei Gratia this was not possible due to the way the ships sails were set and its position. The ship was guided for several days after the last entry, yet Captain Briggs, his family and crew were never found. Phantom ships, cursed ships, all part of the mysterious seas, but what about the water itself being haunted? In 1924 Crew members of the S.S Watertown, James Courtney and Michael Meehan were cleaning a cargo tank when both were killed by the gas fumes. The custom at the time was to bury the sailors at sea. For several days after their burial, the two men’s faces were seen in the water following the ship. The Captain reported the strange occurrence to his employees and it was suggested he try to photograph the images. He did just that and the photo is quite eerie. Two ghostly faces can be seen as if they are rising from the water itself. However the photo’s authenticity has been debated for decades. There is no denying; tales of the haunted seas have been very popular for centuries. They bring about images of pirates, hidden treasures, and glorious ships. There are still things we have yet to discover lurking in the deep waters, and there are still things shrouded in aquatic mystery that have yet to discover us.